Most SEO keyword techniques revolve around getting your web pages associated with commonly searched-for words. This is a perfectly viable approach and has worked for countless companies. However, there are also benefits to be found in long-tail keywords. “Long-tail keyword” refers to more specific, wordier inquiries that are typically four words or more in length. The most common example of a long-tail keyword is a location search, like “pet grooming in Toronto” or “Italian restaurants in Boston,” but these are only a dip in the water compared to how specific and thorough a long-tail keyword can be. Properly taking advantage of long-tail keywords can give your company an edge in its SEO that results in higher views, higher conversion of visitors to purchasers, and better click-through rates (CTRs). Why should you invest time in keywords that are narrower and less frequently searched? Precisely because they are more narrow and less frequently searched. If you are, say, a plumbing company, you probably focus your SEO efforts on keywords like “plumbing,” “pipe leaks,” etc. However, every one of your competitors is doing the same. Long-tail keywords are less likely to have SEO efforts directed at them so you won’t have as much competition in the search results. Furthermore, and most importantly, long-tail keywords are a way you can filter your potential audience. Very few people who search for something like “plumbing tips” actually want advice on every form of plumbing activity, so it is much harder to create a page that would attract their attention since you can’t guess what they specifically want. However, someone who searches for “how to replace a leaky sink with a garburator” has their interest much more established. It benefits both your company and the consumer to make long-tail keywords part of your SEO strategy since it lets you partially shape the type of person you want to find your pages. When properly used, long-tail keywords can result in a large improvement in CTRs. Most people use three or four words in their Google searches, with the rates dropping off significantly afterwards. It’s easy to conclude that you should therefore focus your efforts on the three-to-four word searches and ignore the others. However, if you look at the CTR of each search level, you’ll find that while three-word searches are the most common, they also have the lowest click-through rate. The reason is simple: three words are not very specific and may produce a lot of results irrelevant to the searcher. Long-tail keywords are a more efficient source of clicks because they produce tailored results to specific needs. A four-word phrase like “hiking trails in California” is narrow enough that it will give me a lot of results for my desired state. However, I am still likely to skim through them since there are more considerations to make than just what state I am in. Creating a web page solely focused on promoting hiking trails in California, therefore, will not have a high click-through rate. Instead, consider the specifics of what you can offer. A web page that is optimized for a longer phrase like “guided hiking trails in California for beginners” not only captures the three-word audience but is also expanded to attract the long-tail keyword. This way, your business would not only appear on searches for the common three-word phrase, but also variations of the four-to-seven-word phrases contained within. The ultimate goal of any SEO practice is to turn search results into consumer purchases, newsletter sign-ups, or other activities. Your conversion rate is going to be a major consideration of any SEO endeavor since it is what will establish your site as an authoritative source and quality service or product provider. The above hiking example is seven words long, with seven-word phrases having some of the lowest search volume, but the third-largest conversion rate; in second place are eleven-word search terms and in first by a large margin are nine words. The reason is simple: people who use longer search terms know what they want. They have done their research, looked at alternatives, and made their decision. Long-tail keywords are used by people actively searching for someone to give their money to. The narrow nature of long-tail keywords can be used to also create better-tailored content. If you are trying to create an ad or a web page to attract someone using a generic search like “hotels in New York City,” you will end up having to make something equally generic since you can’t anticipate the consumer’s specific needs. Look for long-tail keywords that let you create strong, focused content. “Cheap hotel with pool in New York City” and “pet-friendly hotel in New York City” are both examples of long-tail keywords that can be used to create targeted advertisements, articles, static pages, and more for your business. You could even create content that combines both phrases into the juicy “cheap pet-friendly hotel with pool in New York City” key phrase. Long-tail keywords can let you learn far more about your audience than common search phrases. They can help identify trends and areas of focus, as well as areas you can stand to improve on. If you are a salon, for instance, and you have pages about “affordable hair extensions in San Francisco,” the popularity of that specific page can tell you more about how that service is doing than if you included a bit about hair extensions on a page targeted around “custom hair treatments in San Francisco.” How well or poorly the specific long-form targeted page does can inform your future business decisions and enable you to more effectively react to customer tastes. 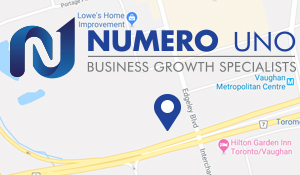 Numero Uno Web Solutions is a provider of search engine optimization and keyword solutions for businesses of all sizes and across all industries. Keywords both long and short are just a small part of the tolls we use to help our clients. We stay on the pulse of industry changes and adapt our practices to produce quality SEO plans to fuel the growth of businesses across communities. Click here to learn more about SEO techniques and how Numero Uno Web Solutions can help improve your search profile.